If you are reading this article, it probably means that you are searching for how to schedule US visa appointment in Nigeria and the available dates for US visa interview in Abuja or Lagos. If that’s the case, you will find the tutorial and instructions in this article worthwhile. Keep reading! If you need assistance getting an appointment date for your interview at the U.S embassy in Abuja or U.S Consulate in Lagos, contact us on 07033378184 or via email: assist@travelvisa.ng. Pay your US visa fee – Make your US visa fee payment at any Guaranty Trust Bank branch close to you. You will be providing them a photocopy of your bio data page, your full name and the category of visa you applied for in your DS-160 form. The fee charge varies depending on the type of visa you applied for. For example, someone going for vacation or attending a conference will pay N64000.00 for a “B” visa class while athletes and entertainers will pay 106000.00 for a “P” visa class to attend and participate in an event within the U.S. You will be issued a receipt for the visa payment. On this receipt is a UID number that will be needed in order to schedule your interview appointment. You can also make your visa fee payment on the Guaranty Trust Bank online app (That’s if you bank with them). Book your Interview Appointment – Now you have your DS 160 Confirmation page and the visa fees receipt, its time to book your interview appointment. To do this, go to www.ustraveldocs.com. Click on “New User”, fill out the form and click on “Submit” to create a new profile. As soon as you are done, a dashboard is opened in your name so that you can schedule your interview. To know more, read our post on: How to Book an Appointment for US Visa – US Visa Interview in Nigeria. 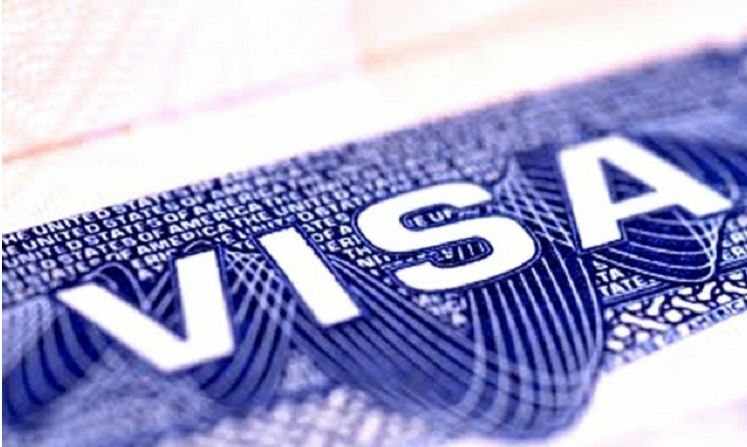 Note: It is only when you are logged on to this platform that you can find out and see for yourself all the US visa appointment available dates in Nigeria. The US embassy and Consulate attends to applicant all year round except on weekends and public holidays that are observed in the United States of America or Nigeria or both. I have invitational appointment on July 6-9.. I tried to get a date for visa interview, but August was displayed as the earliest date available…please how can i get interview date from now till June end..
i was turned back on 3th may 2018 at the CGI check area of the US Embassy lagos due to bacode issue. i was ask to go and edit /refill the DS- 160 form after 3 working days. Were you told that your receipt number was unlocked by the CGI official or it was at the entrance you were told to go back?? And were you able to use the same receipt or how did you solve it? How much does it cost to buy a date? my admission date is august 22 and my visa appointment date is in September what can I do ? I was denied visa and try to reschedule date again but I’m not seeing any date please is there any way to get a date? Please my emergency date was approved on Wednesday by Abuja consulate but I can’t view the date. How can i view the approved date? What do I do? Please I need a quick reply, thank you. Hello have a conference to attend by September 25/26 in Chicago, if i start the application now can i still make it? i mean considering interview date etc. I am based in China but want to come back to Nigeria for the interview can i apply and pay the visa fee here in China then come for interview in Nigeria? Please l want to know if there is any close and available interview dates for US visa interview. I need any available date for visa interview in September 2018.
you can get a date in Abuja this year but Lagos is next year. Please I want to know when the US embassy update it’s Visa dates? I thought it was Mondays however I just checked and it hasn’t changed. Trying to get late November. i will like to visit my mom in the us cos of her medical condition. I’ll like to go on JAN 10 2019 and return by end of JAN. Pls when is the latest available date for the visa interview. I’ll appreciate your reply. Thanks. I received a message on my phone that my appointment time has be changed and email has been sent to my mail but I didn’t receive any mail how do I check to know my appointment time please. I want to schedule a date for a Visa interview at the U.S Embassy in Abuja. Kindly revert back on the necessary procedures i need to take for this interview. I submitted my passport for a dropbox renewal. But was asked to schedule an appointment. Please I have been trying to book a date for the interview without having access to any date from the drop down list. Please I need help as I still cant see any available dates to choose from. All I see is a first available date and cant click it to confirm it.